I’m trying to show new things on each day of Car Week, models that I’ve not shown previously on LaLD. I’m pretty sure I haven’t shown this one before. Those of you on IG have seen me post it before. Apologies for the redundancy. 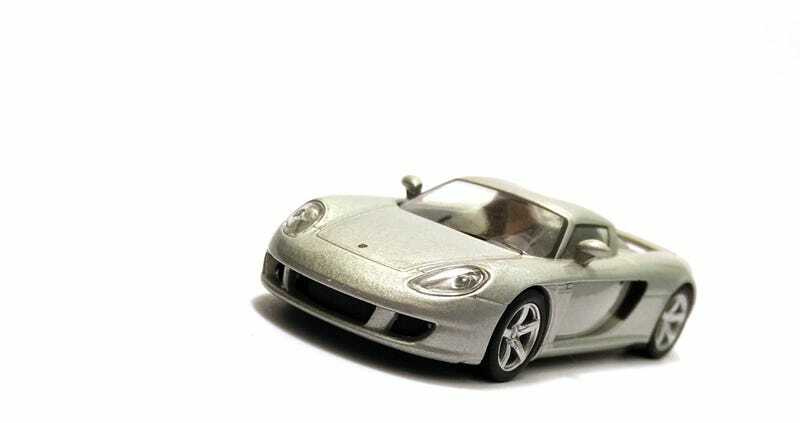 I couldn’t find any other Germans worthy of showing for today, so here’s the Kyosho 1/64 Porsche Carrera GT.